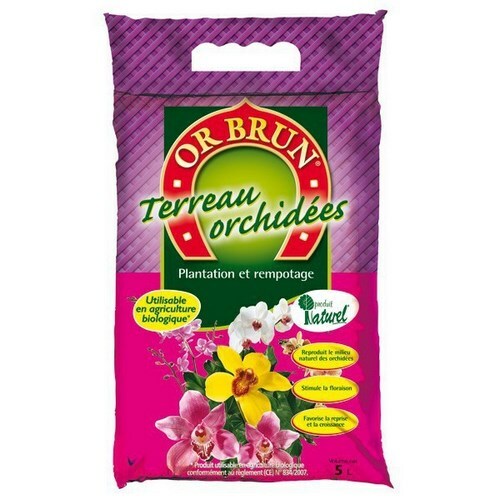 Specific soil that reproduces the particular conditions of the environment necessary for orchids. Very aerated formula containing barks and pozzolana to ensure good drainage. This substrate has only a few coarse fibrous sphagnum elements in order to perfect the aeration and keep a slight reserve of water.